This post is outdated. 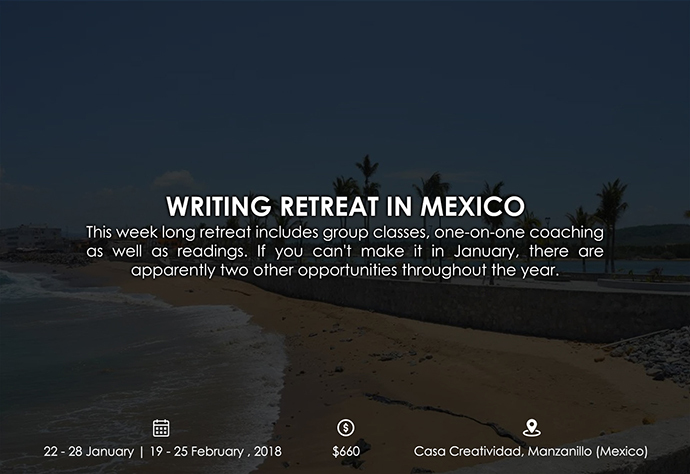 For upcoming retreats, go to Writers’ Retreats You Don’t Want to Miss. With the new year just in, you’ve got a new opportunity to invest in your career as a writer. One of the best ways to do this is by attending workshops or retreats where you’ll get guidance and critiques, often from hosts who are themselves, award-winning authors. 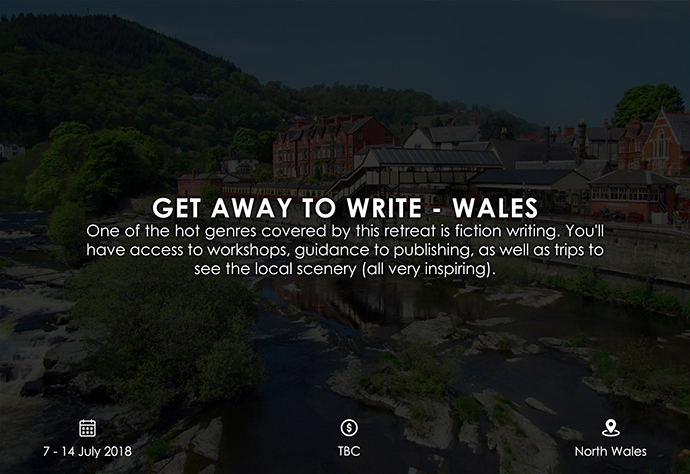 Aside from getting your creative juices running, writer’s retreats and workshops are also the perfect way to network with other authors and others involved in the publishing industry. You’ll get to ask the right questions and hear the answers you need for your latest literary work – and get yourself known. Below are 30+ amazing retreats and workshops around the world that you can attend to glean advice and take inspiration from. Many of them offer financial aid of some sort. Also, make sure to check their other programs while you’re at it! 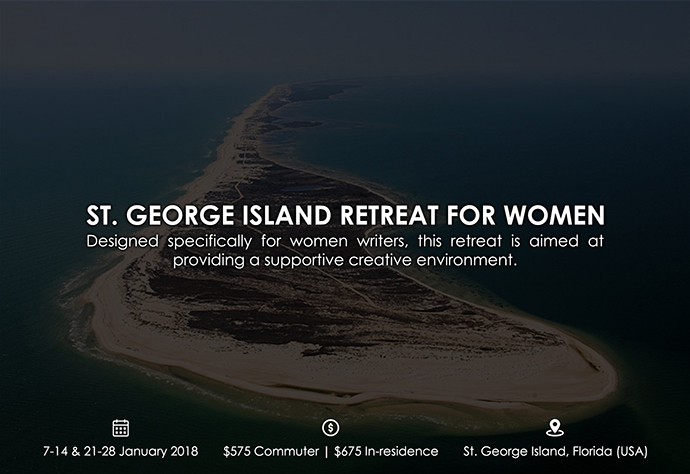 Designed specifically for women writers, this retreat led by Adrian Fogelin is aimed at providing a supportive creative environment. This week-long retreat led by Kathrin Lake includes group classes, one-on-one coaching as well as readings. If you can’t make it in January, there are three other opportunities in the next three months, each starting on the third week of the month. 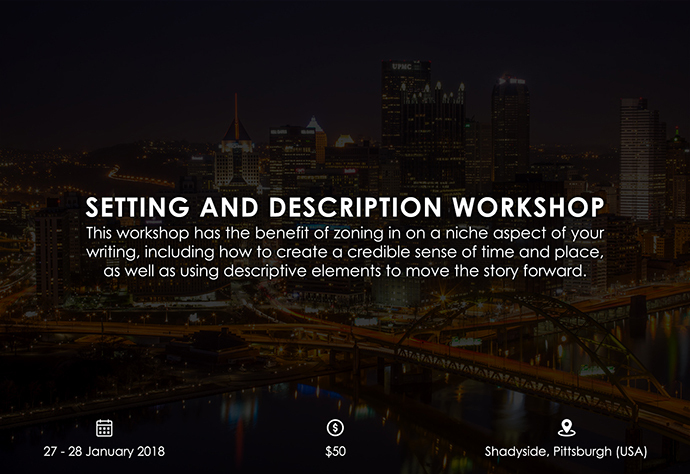 This workshop has the benefit of zoning in on a niche aspect of your writing, including how to create a credible sense of time and place, as well as using descriptive elements to move the story forward. 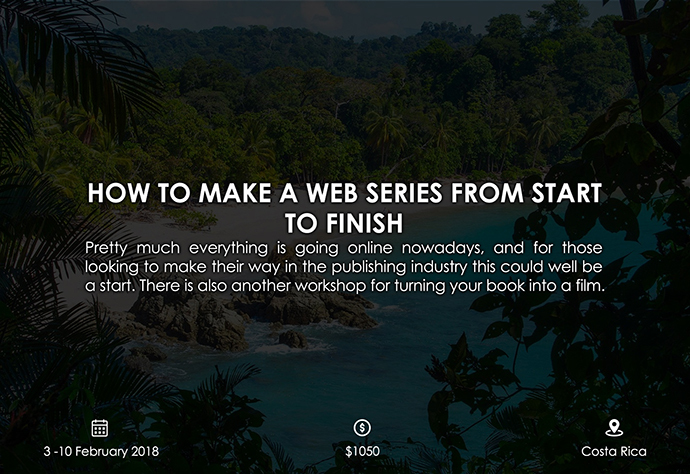 Pretty much everything is going online nowadays, and for those looking to make their way in the publishing industry, this could well be a start. Ginny Leise continues to hold this retreat in the beautiful setting of Costa Rica. There is also another workshop for turning your book into a film. Who doesn’t associate India with immense beauty, history, color – and, of course, amazing food? You’ll also get in-depth guidance on your manuscript with award-winning novelists. 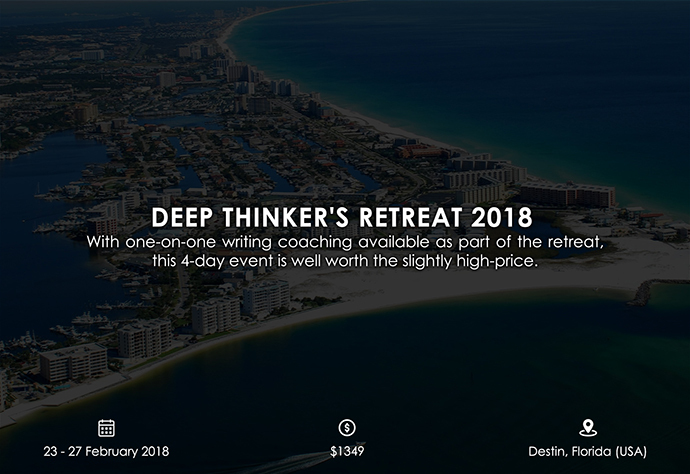 With one-on-one writing coaching available as part of the retreat, this 4-day event is well worth the slightly high-price. 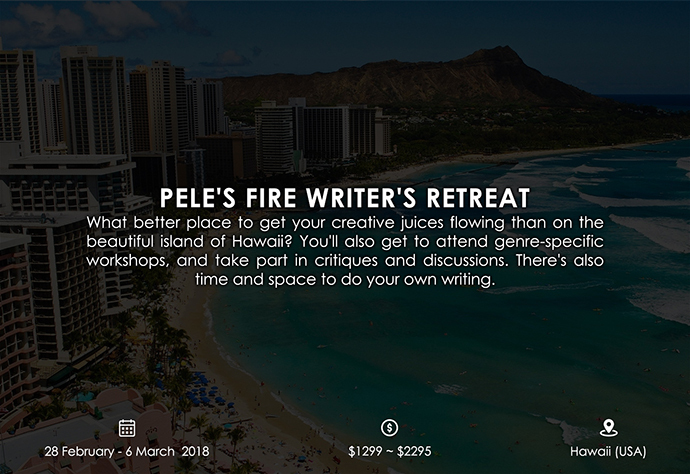 What better place to get your creative juices flowing than on the beautiful island of Hawaii? You’ll also get to attend genre-specific workshops, and take part in critiques and discussions. There’s also time and space to do your own writing. 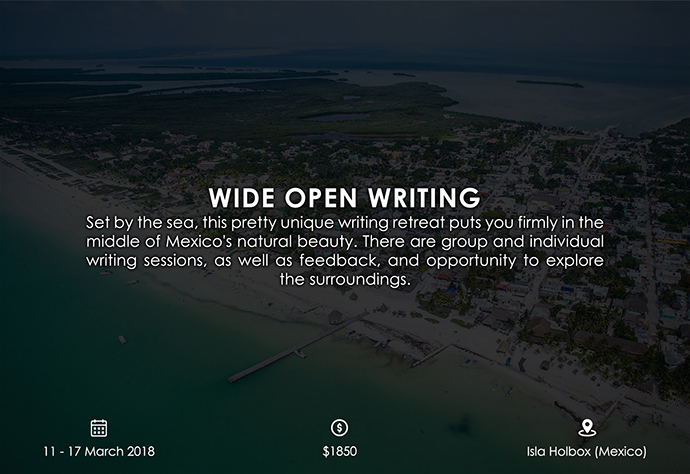 Set by the sea, this pretty unique writing retreat puts you firmly in the middle of Mexico’s natural beauty. There are group and individual writing sessions, as well as feedback, and opportunity to explore the surroundings. 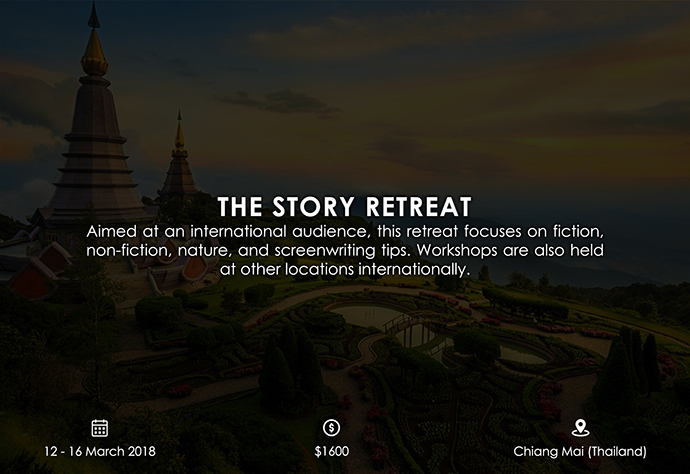 Aimed at an international audience, this retreat focuses on fiction, non-fiction, nature, and screenwriting tips. Workshops are also held at other locations internationally. 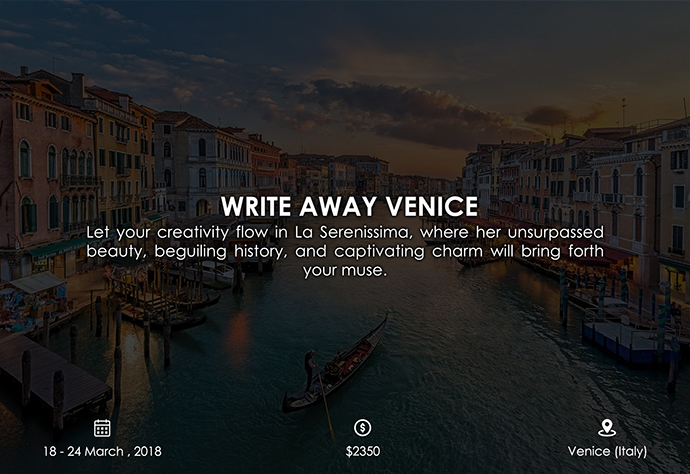 Let your creativity flow in La Serenissima, where her unsurpassed beauty, beguiling history, and captivating charm will bring forth your muse. 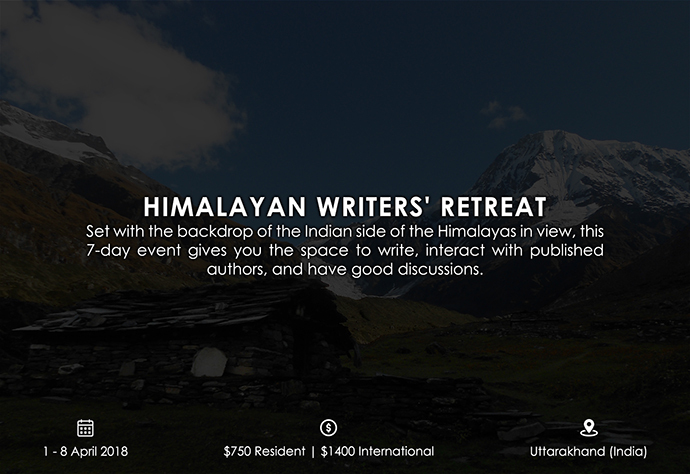 Set with the backdrop of the Indian side of the Himalayas in view, this 7-day event gives you the space to write, interact with published authors, and have good discussions. Intimate workshops. Panels with famous authors. Unspoilt natural scenery. Trips into the countryside. What more could you ask for? And that’s just a small taster for your creative juices! 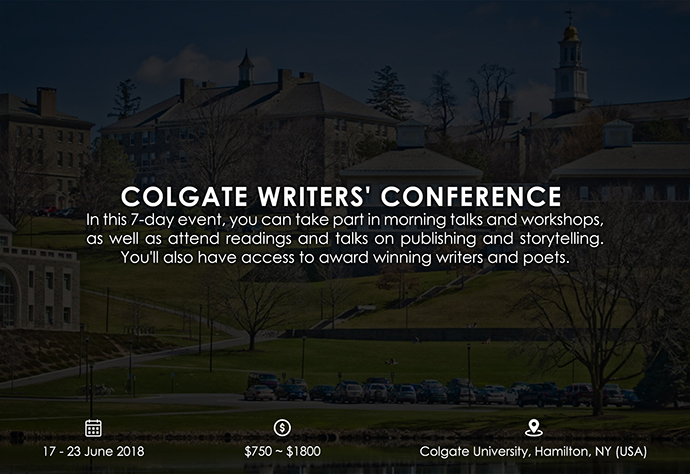 Aimed at writers of all levels, there are several workshops available to attend during the 3-day event. There’s also the opportunity to join discussions and pitch work to agents. For an extra $250 you can attend a workshop with renowned author Jane Friedman on Sunday the 22nd of April. 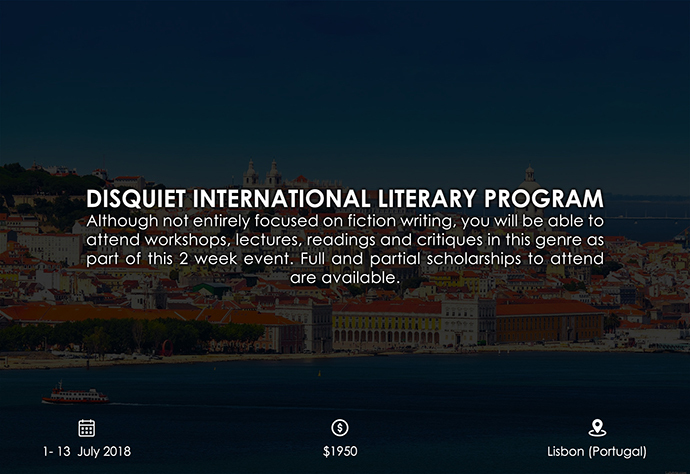 Aimed at fiction, creative non-fiction, and memoir writers, you’ll get to take part in workshops, master classes, and critique sessions. And there’s also Yoga! 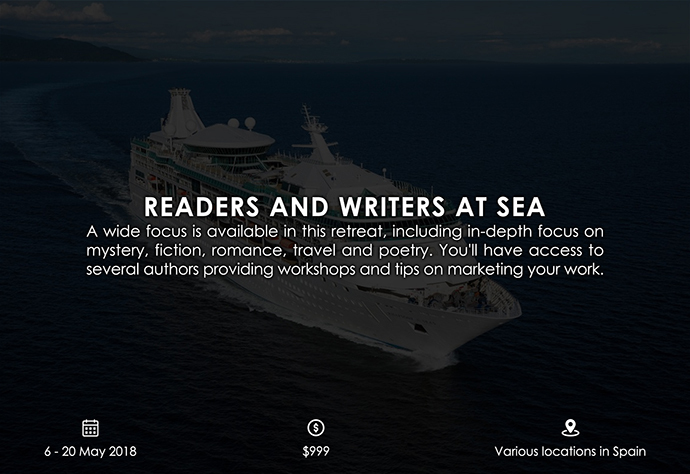 A wide focus is available in this retreat, including an in-depth focus on mystery, fiction, romance, travel, and poetry. You’ll have access to several authors providing workshops and tips on marketing your work. 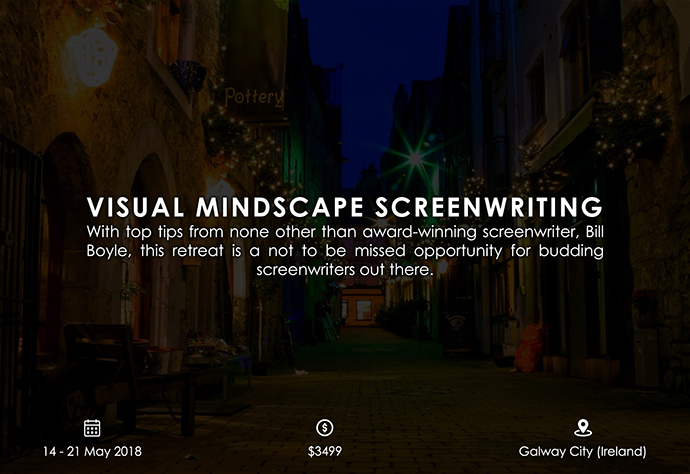 With top tips from none other than award-winning screenwriter, Bill Boyle, this retreat is a not to be missed opportunity for budding screenwriters out there. 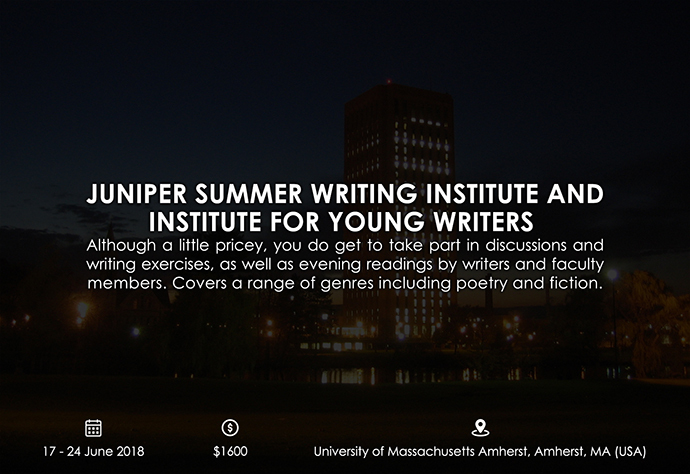 As a 6-day residential program, this is the perfect opportunity to attend classes, writing clinics and have your work critiqued. You’ll also have the space to write in a calm setting. 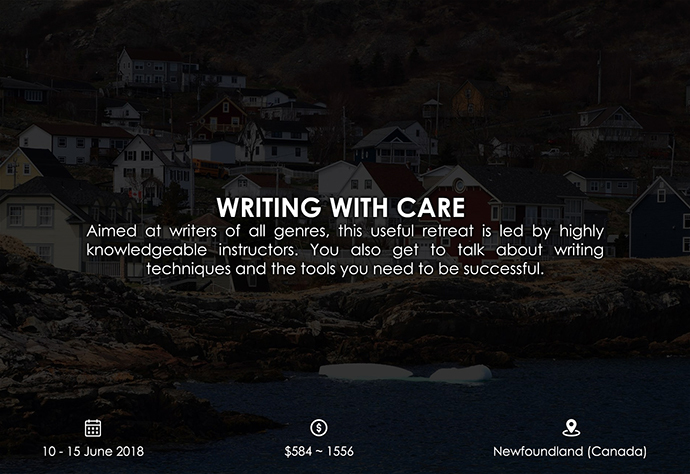 Aimed at writers of all genres, this useful retreat is led by highly knowledgeable instructors. You also get to talk about writing techniques and the tools you need to be successful. 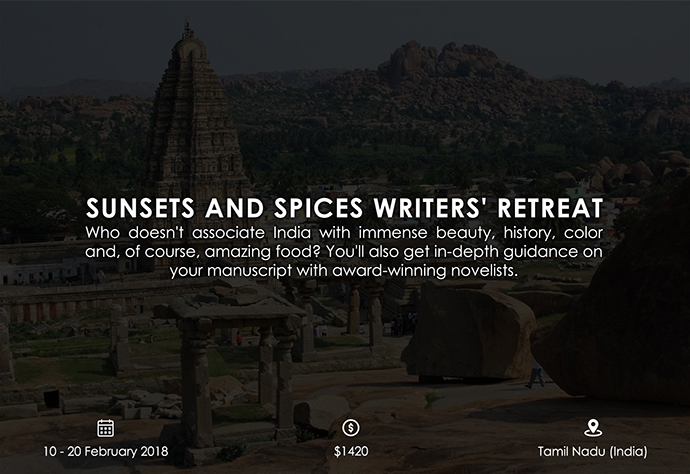 If writing fantasy, science fiction or horror is your thing, then this is the retreat for you. You’ll get top tips, weekly lectures by guest authors, and group/personal critiques. In this 7-day event, you can take part in morning talks and workshops, as well as attend readings and talks on publishing and storytelling. You’ll also have access to award-winning writers and poets. 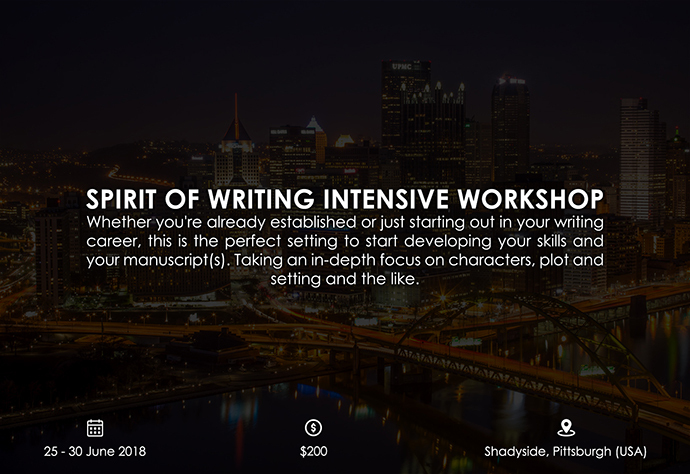 Whether you’re already established or just starting out in your writing career, this is the perfect setting to start developing your skills and your manuscript(s). Taking an in-depth focus on characters, plot and setting and the like. Aimed at aspiring authors, and hosted by Debra Moffitt, you’ll be helped to tap into your inner creativity. There’s also plenty of workshops and opportunities to exchange ideas, against the backdrop of the French Alps. 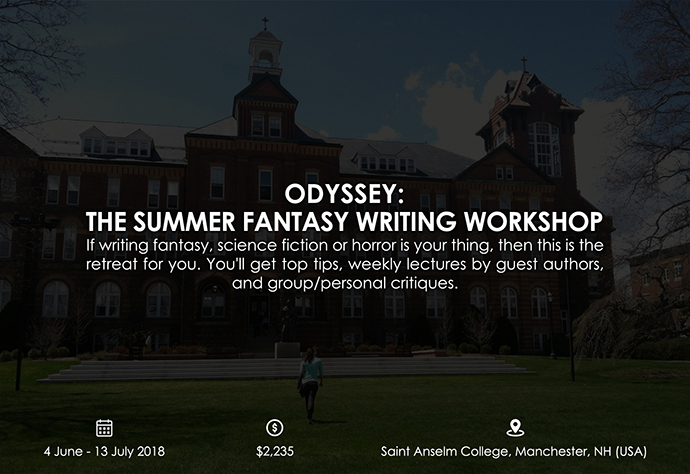 Although not entirely focused on fiction writing, you will be able to attend workshops, lectures, readings and critiques in this genre as part of this 2-week event. Full and partial scholarships to attend are available. 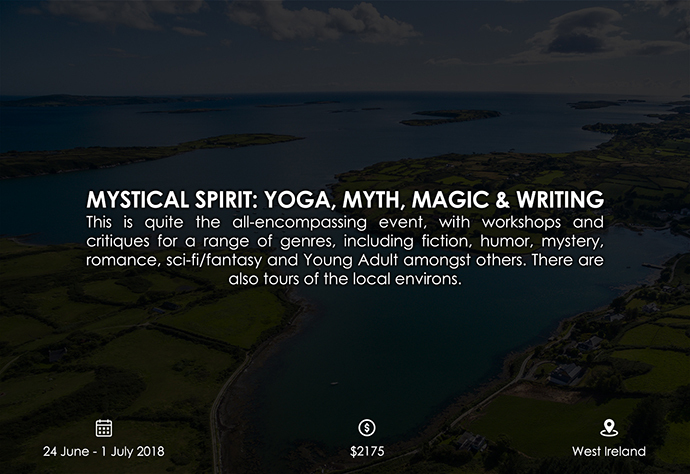 This is quite the all-encompassing event, with workshops and critiques for a range of genres, including fiction, humor, mystery, romance, sci-fi/fantasy and Young Adult amongst others. There are also tours of the local environs. 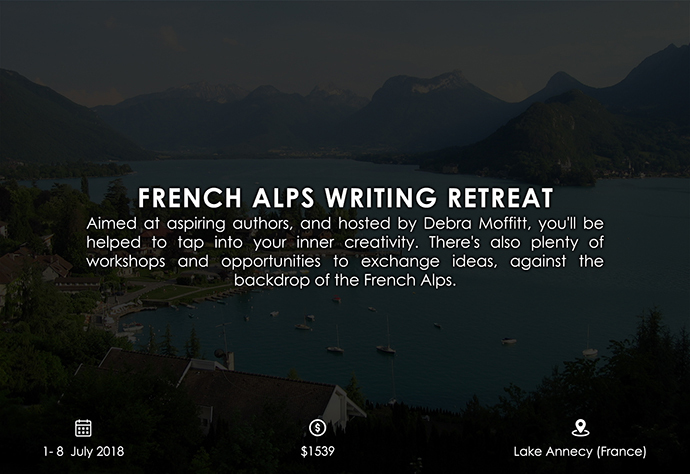 One of the hot genres covered by this retreat is fiction writing. You’ll have access to workshops, guidance to publishing, as well as trips to see the local scenery (all very inspiring). 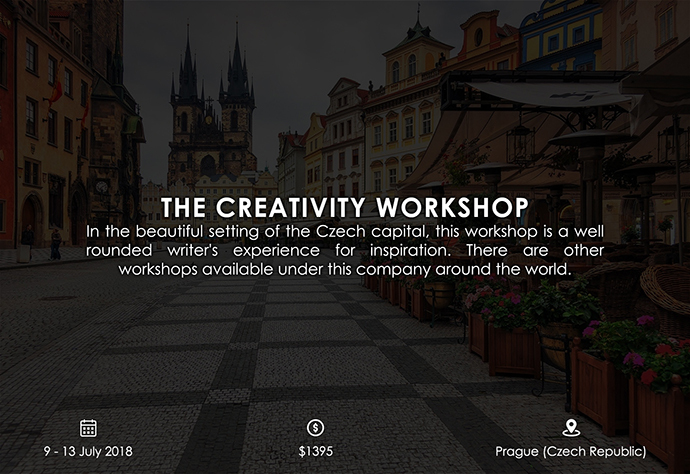 In the beautiful setting of the Czech capital, this workshop is a well-rounded writer’s experience for inspiration. There are other workshops available under this company around the world. 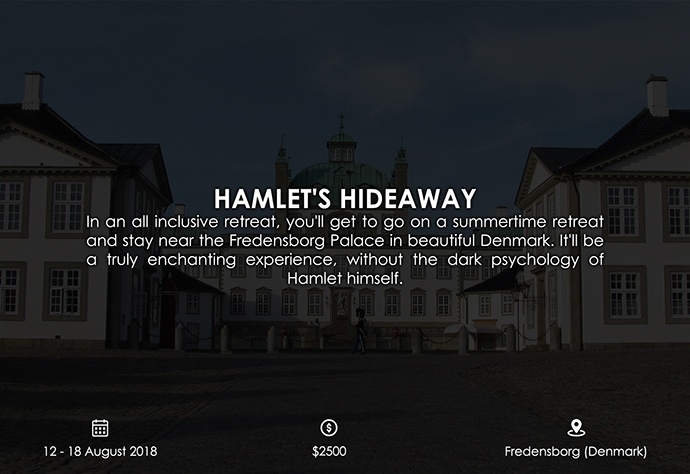 In an all-inclusive retreat, you’ll get to go on a summertime retreat and stay near the Fredensborg Palace in beautiful Denmark. It’ll be a truly enchanting experience, without the dark psychology of Hamlet himself. Italy’s immense history and natural beauty are all the inspiration you need. 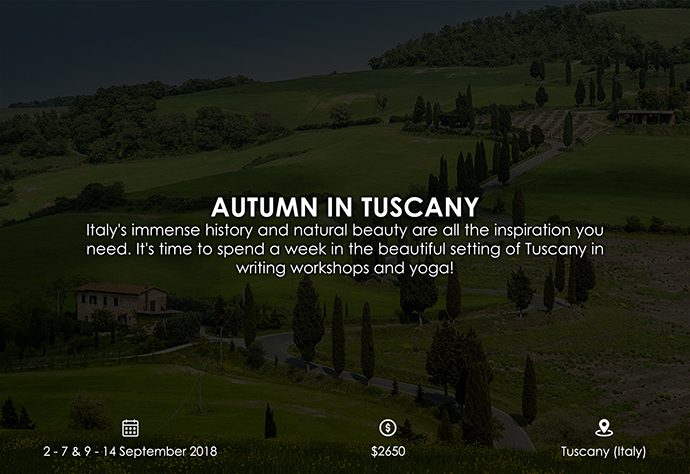 It’s time to spend a week in the beautiful setting of Tuscany in writing workshops and yoga. 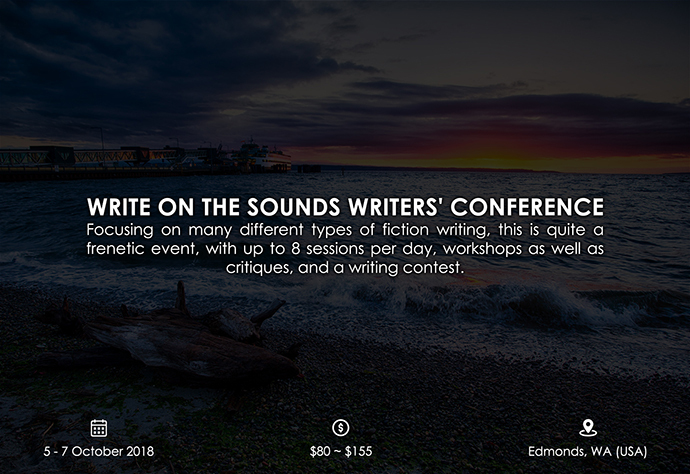 Focusing on many different types of fiction writing, this is quite a frenetic event, with up to 8 sessions per day, workshops as well as critiques, and a writing contest. 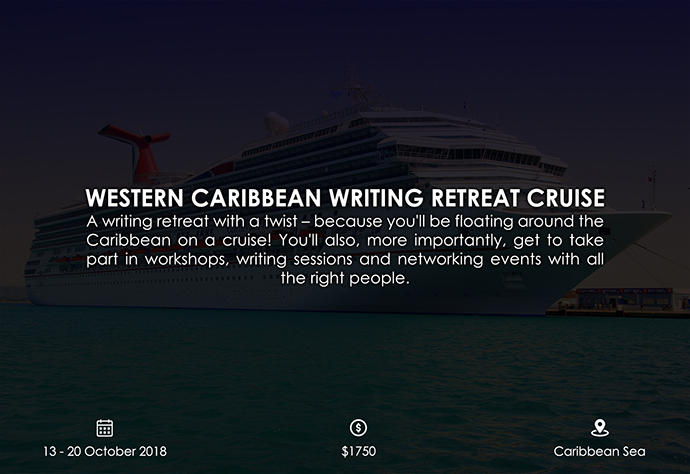 A writing retreat with a twist – because you’ll be floating around the Caribbean on a cruise! You’ll also, more importantly, get to take part in workshops, writing sessions and networking events with all the right people. 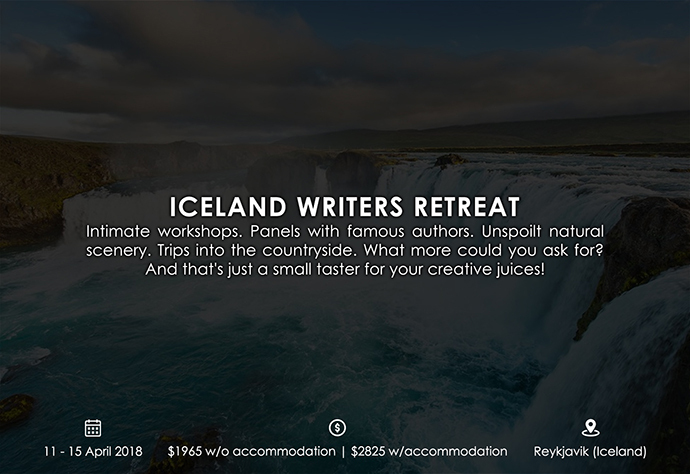 Most of these retreats and workshops might come with quite a hefty price-tag, but you will come away with a wealth of benefits to give your writing that edge. You’ll also get to see some pretty awe-inspiring landscapes that might well be the inspiration for your next book! 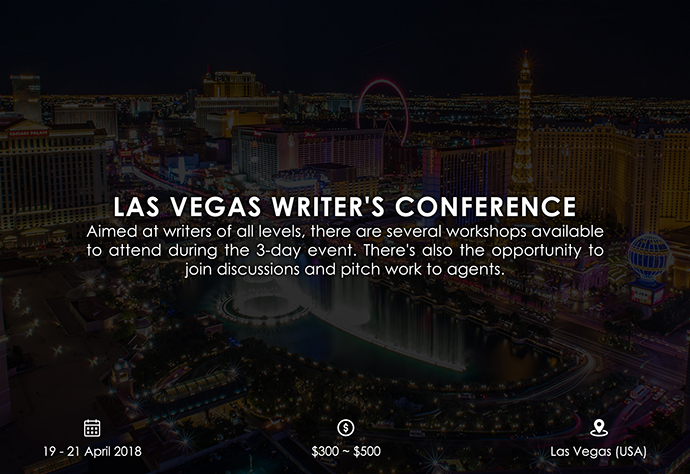 With publishing executives also in attendance, you’ll also find the industry contacts you need to really make your writing career work. Happy travels! Let us know if we missed any important events and we’ll probably add them if we feel they’re applicable! Note that the prices and dates were accurate at the time of publishing, and are reviewed regularly for changes. Lastly, don’t hesitate to ask any of the organizers if they offer financial aid, discounts or fellowships. Writers retreat #2 . Kathrin Lake provides a fun, supportive learning retreat. I have gone to several of her retreats and come away each time having learned something new. She figures out what your strengths are but gently encourages you to go beyond that. I would highly recommend this retreat. Awesome list! 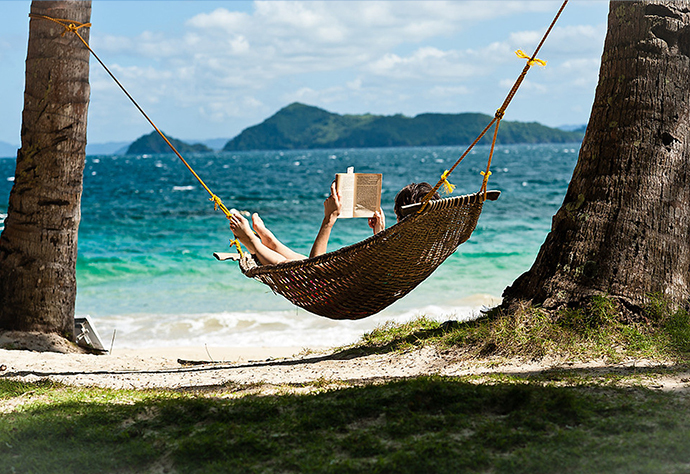 How about a 2019 Fiction Writers’ Retreat list? 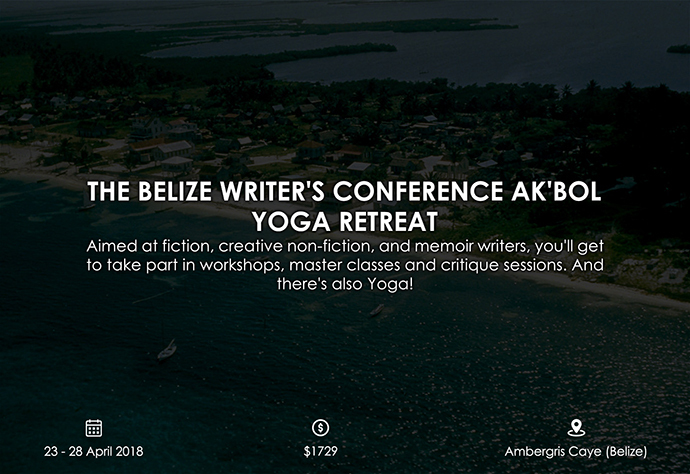 I’m hosting a Writers’ Workshop Retreat in Bali, January 19-28th! I’ve been searching most of my life for the perfect place in nature to seclude myself and write, and I found the most AMAZING location, in the foothills of Bali’s holiest mountain, where every private bungalow has a stunning view into the rice-terraced valley. 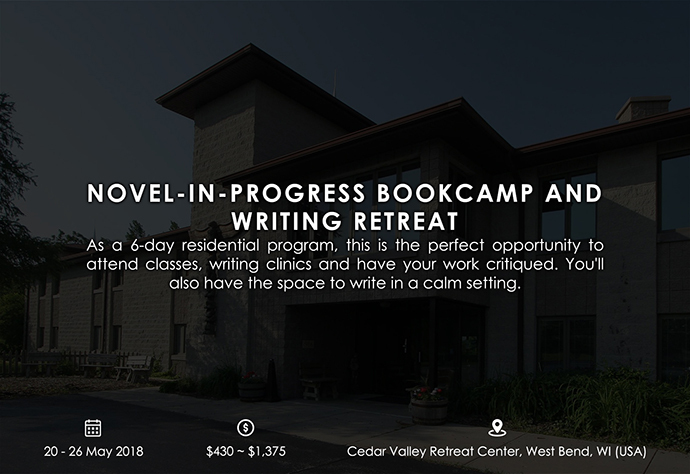 This writers’ retreat is all about overcoming writers’ block–I’m a writer and editor and also a meditation teacher, so we’ll have 10 days of meditations for creativity, free writing time all day every day, and a group workshop every evening. I’m also providing private one-on-one editing sessions, 2 day trips when a change of scenery is needed, 3 meals a day, 2 massages, and tons of other creativity-enhancing activities.